param_number: position of the parameter in the command line sequence. This command is used to pass your own parameters to the script file. For example, a user name, a password, a date, etc. See the examples below. 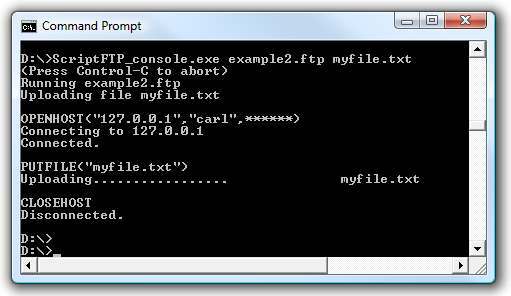 The first parameter is reserved to ScriptFTP as it is used to pass the script file name or path. All subsequent parameters are for your own use. Now GETPARAM(5) will return parameter five. The parameter requested. If the parameter has not been supplied on the command line GETPARAM will return nothing.